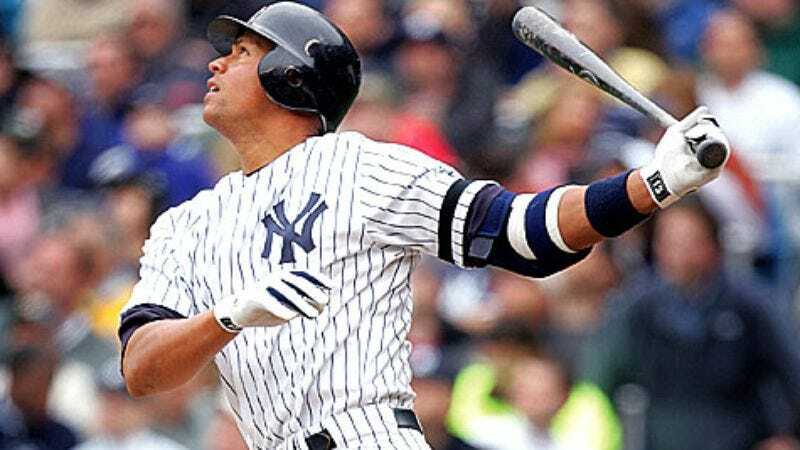 NEW YORK—Following Major League Baseball’s announcement that New York Yankees third baseman Alex Rodriguez will be suspended through 2014, sources confirmed Monday that there’s only one thing the 14-time All-Star is guilty of, and that’s trying to win baseball games. Individuals who follow the sport and understand that there isn’t anything more important than putting up numbers and bringing home the hardware confirmed that no matter what commissioner Bud Selig might have to say about one of the greatest players of our generation violating MLB rules by using performance-enhancing drugs, the fact is that A-Rod went out there and did what he had to do to help his team win. Sources added that if playing to win, gutting it out on the diamond every day, and doing whatever is necessary to perform at the top of your abilities makes you guilty, then, sure, A-Rod’s guilty. A-Rod is guilty as charged of taking his game to the next level and putting on performances that delight and inspire countless baseball fans across the nation. According to everyone who knows what baseball is all about, A-Rod is also a career .300 hitter; he’s knocked 647 home runs out of the park; and, most importantly, on November 4, 2009, he went out there and helped the Yankees win their 27th World Series. He won. He’s a winner. Trophies, rings, winning—that's what matters, sources confirmed, and if wanting to be a winner is a crime in America, then the MLB might as well ban all 300 million of us, because that’s what this country’s all about.